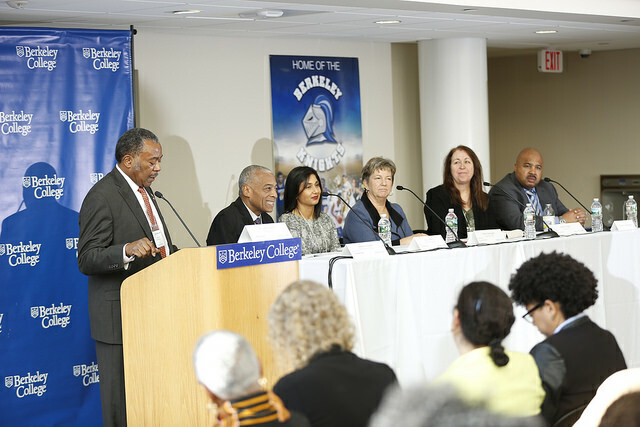 On Nov. 17, the American Conference on Diversity in partnership with Berkeley College and other colleges and universities held the 17th annual Diversity Issues in Higher Education conference to discuss solutions to today’s surge in hate with keynote speaker Charlottesville Vice Mayor Dr. Wes Bellamy and other thought leaders. 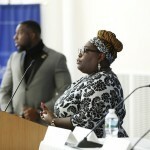 “When you see what transpired on Aug. 12, do not think that that is an anomaly…. When you see Charlottesville, do not believe that we are an anomaly. Charlottesville is truly a representation of the United States,” said an impassioned Dr. Bellamy, who until this past election was the only African American to ever sit on the Charlottesville City Council. 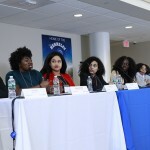 The daylong conference held at Berkeley College’s Woodland Park, NJ, campus featured an impressive lineup of speakers and panelists, ranging from diversity and inclusion advocates to community organizers to college faculty and students. 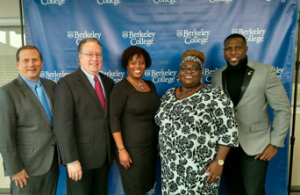 Berkeley College President Michael J. Smith, who presented the American Conference on Diversity President and CEO Elizabeth Williams-Riley with Berkeley College’s Story of One coin symbolizing the power of self-destiny, welcomed attendees. 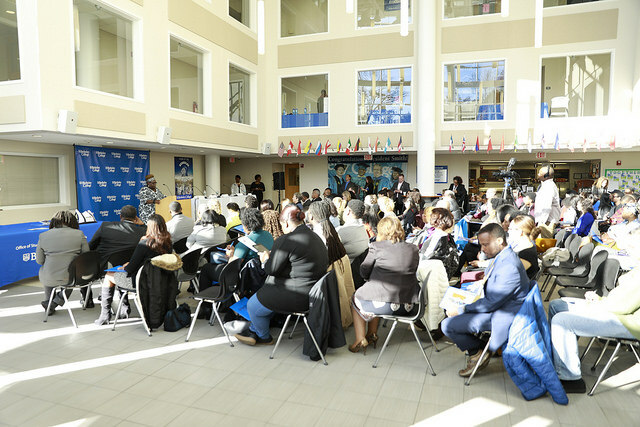 Self-empowerment and unity were recurring themes throughout the conference. 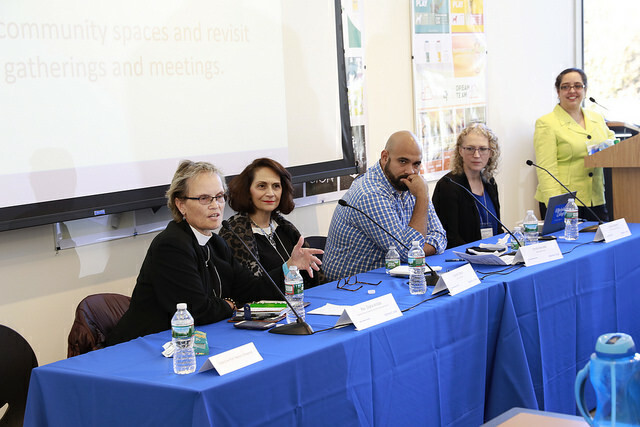 “We know the important work is the action. 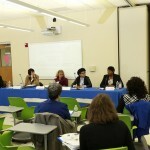 It’s taking these discussions, it’s taking what we hear now and putting it into engagement,” said Mr. Smith. 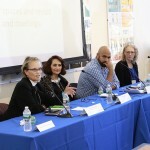 A thought-provoking response panel followed. 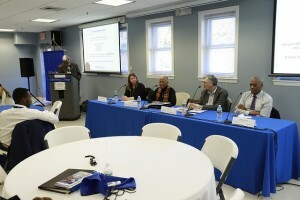 Moderated by the Past President of the New Jersey State Conference NAACP James Harris, panelists included Dr. Larry Hamm, Chairman of People’s Organization for Progress, Kavita Mehra, Executive Director of Sakhi for South Asian Women, Eileen Gale Kugler, author of Innovative Voices in Education, Mary Chayko, Professor and Director of Interdisciplinary Studies at Rutgers University School of Communication and Information, and Montclair Township Police Department Lieutenant Tyrone Williams Jr. (shown below left to right). 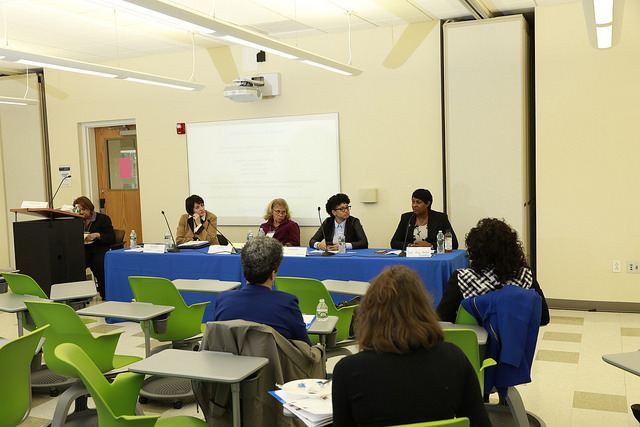 The three breakout sessions that followed, focusing on the history of activism and resistance (moderated by Seton Hall University’s Rev. 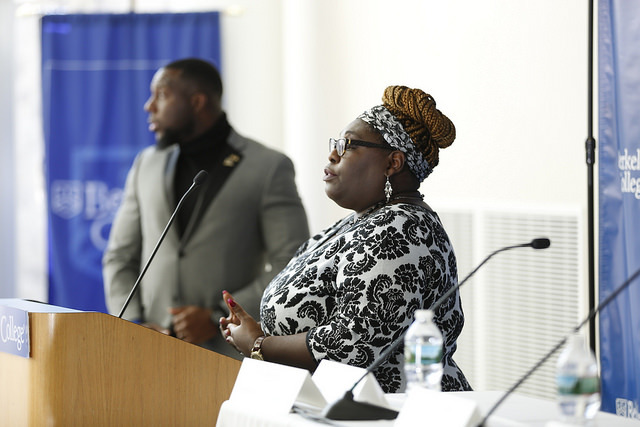 Dr. Forrest M. Pritchett), how to create inclusive communities (led by Pratt Institute’s Dr. Esmilda Abreu), and ways to transform traditional activism (facilitated by New Jersey City University’s Dr. Jennifer Jones), provided further insight toward addressing today’s climate of hate. 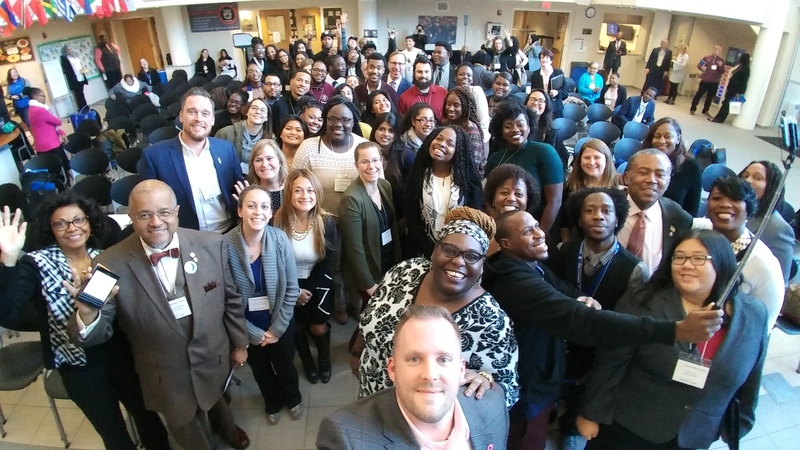 If you would like to join the 2018 Diversity Issues in Higher Education planning committee and be part of our organization’s 70th anniversary celebration, please contact the American Conference on Diversity at info@AmericanConferenceonDiversity.org. 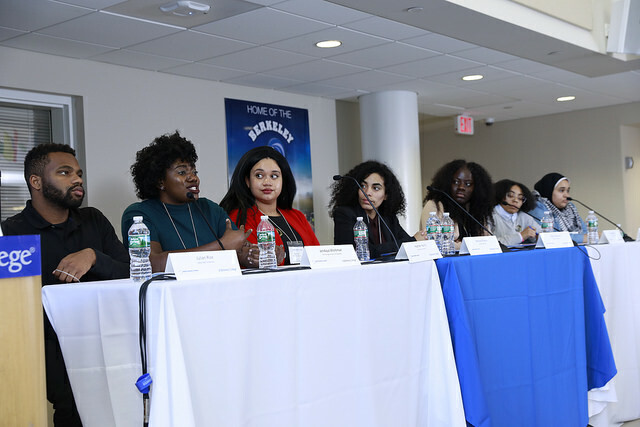 Special thanks to the 2017 partner committee members: American Conference on Diversity, Berkeley College, Bergen Community College, Bloomfield College, Brookdale Community College, College of Saint Elizabeth, Fairleigh Dickinson University, Hudson County Community College, Kean University, Montclair State University, NAACP, New Jersey City University (NJCU), New Jersey Institute of Technology, Ramapo College of New Jersey, Rutgers: The State University of New Jersey, Saint Peter’s University, Seton Hall University, Stockton University, The College of New Jersey, William Paterson University, Pratt Institute, and corporate sponsor New Jersey Resources. 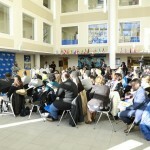 Photographs courtesy of Berkeley College.